PSi Matrix present on the Logimat …. Freudenberg, 2.03.2018 – AS the only exhibitor PSi Matrix GmbH presents at Logimat in Stuttgart, 13. to 15. March 2018, hall 8 booth B32 the PSi PP 803 printer with integrated QR- code function and the PSi PP 407 printer with PDF Direct Print support. By the QR- code function the PSi PP 803 printer supports one of the key aspects for implementation of Industries 4.0, that is fast and error free availability of digital information to improve the efficiency of controlling the logistics processes in the scope of supply chain management. 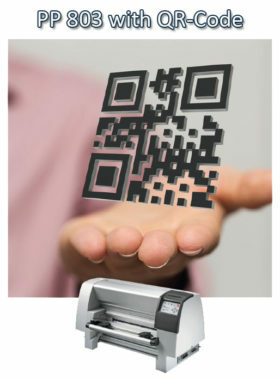 In this environment barcode technologies have been established since decades very successfully. As the amount of digital information needed does permanently increase in order to continuously optimize the logistics processes, two dimensional barcodes like QR- code have been introduced. The QR- code image is generated inside the printer that way that it is printed with best graphical resolution and highest speed. A fee based external software like a label software is not required any more. The second highlight presented by PSi Matrix at Logimat is the PSi PP 407 supporting PDF Direct Print. 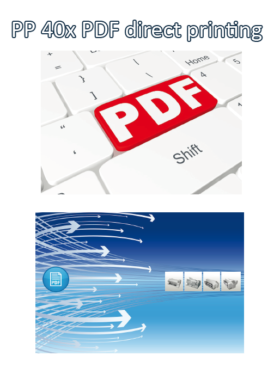 The PDF format has been established as the standard format for digital documents word wide. That allows to exchange, open and even print DPF documents created in different system environments with various operating systems. In order that the print out is 100% identical to the original document the PDF document directly can be sent to the PP407 printer without first passing a printer driver. Since 1992 the PSi-Group produces professional dot matrix and laser printers for continuous printing. The mechanics, electronics and firmware are developed and perfected at Freudenberg site situated in North Rhine-Westphalia in Germany. These synergic effects in combination with up to date production lines and highly experienced employees provide us with substantial advantages in quality and reliability. Many popular companies in furniture manufacturing, automobile industries, logistics, financial service providers and IT industry rely on modern printer technologies developed by PSi Matrix GmbH.